Showing results for tags 'collecting'. RARE 100th anniversary Centenary of the Republic of Estonia Designer SIGNED GOLD COIN 2018 SIGNED by both designers Tiiu Pirsko and Mati Veermets 2018 makes this coin unique and one of a kind. The gold collector coin for the centenary of the Republic has been designed by Tiiu Pirsko and Mati Veermets. Its design features the Estonian national flower, the cornflower, and the oldest Estonian geometric design, in which the symbols represent perfect happiness, development and balance. This RARE GOLD COIN is of proof-like quality, Au 999, measuring 22mm in diameter and weighing 5.65 grams. The gold collector coin has a nominal value of 100 euros and only 3000 are minted. 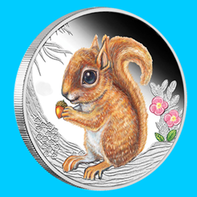 Coin number 1729 comes with personally signed certificate from both designers Tiiu Pirsko and Mati Veermets. Coinzo posted a topic in New Member Information and Welcome! Thinking of building coin-collecting software. Should I?